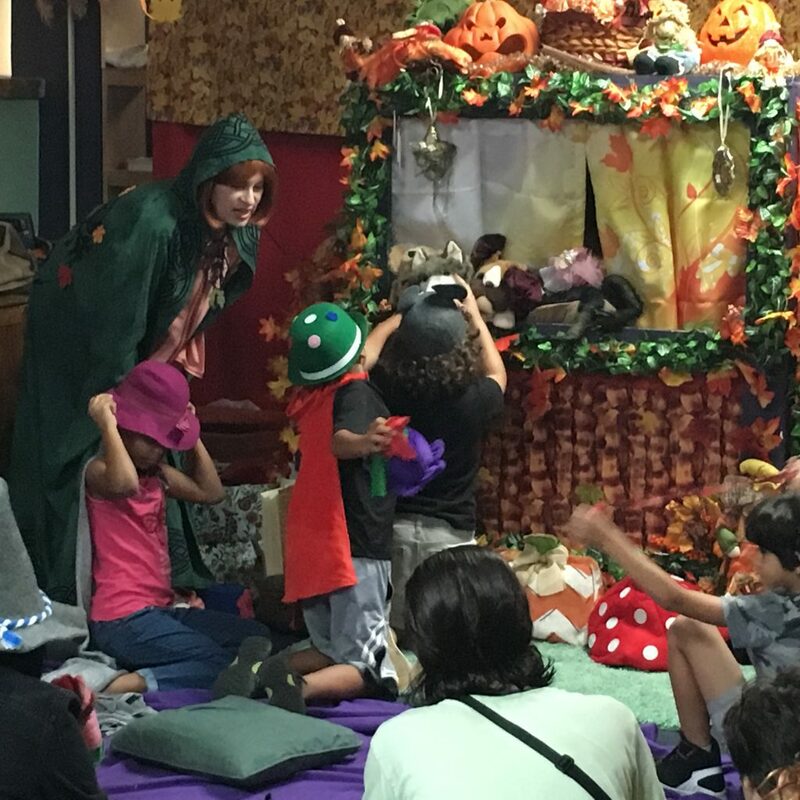 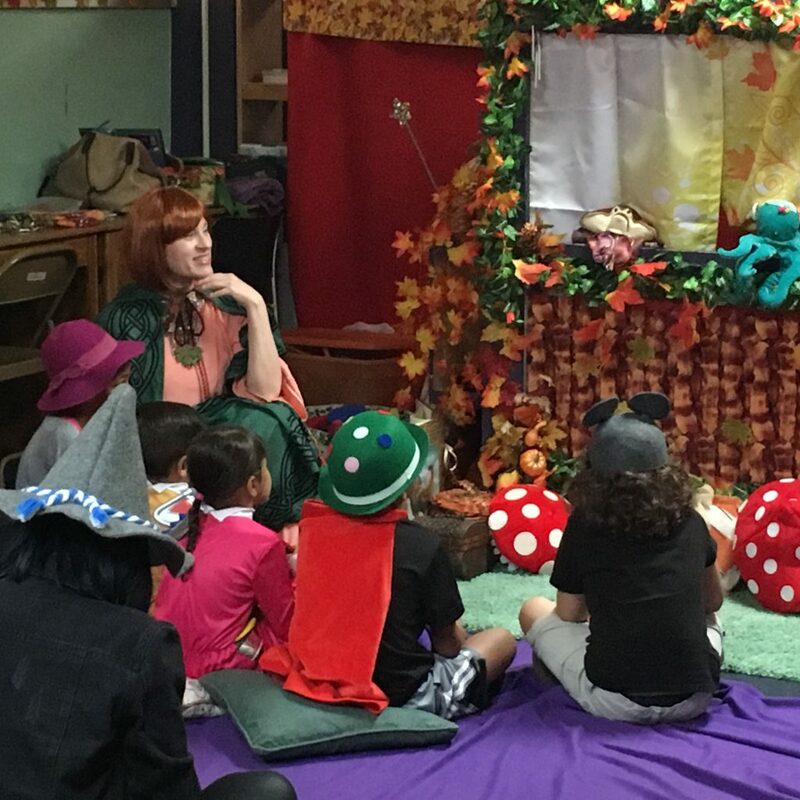 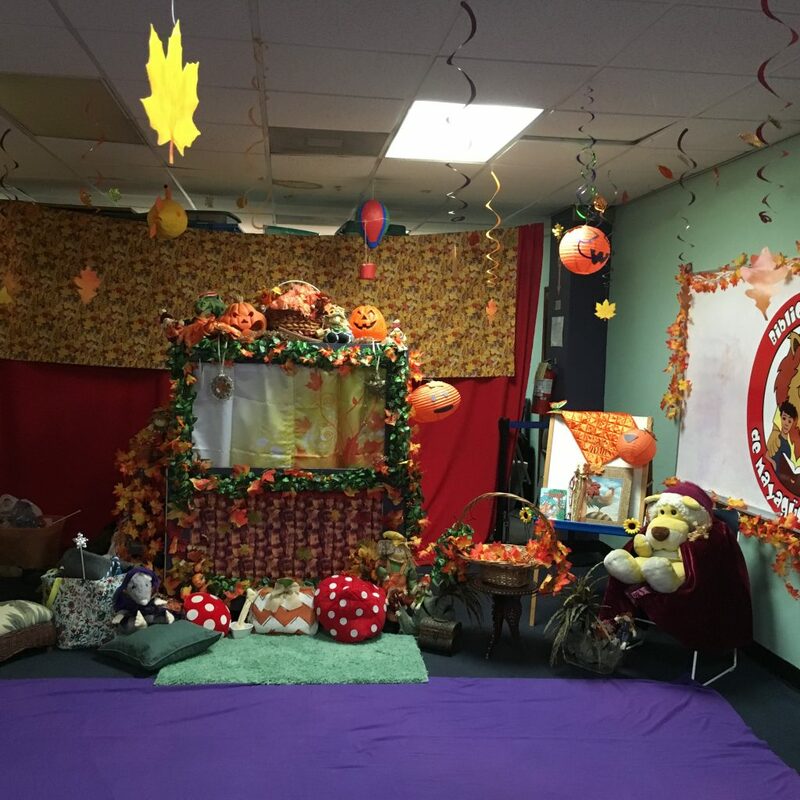 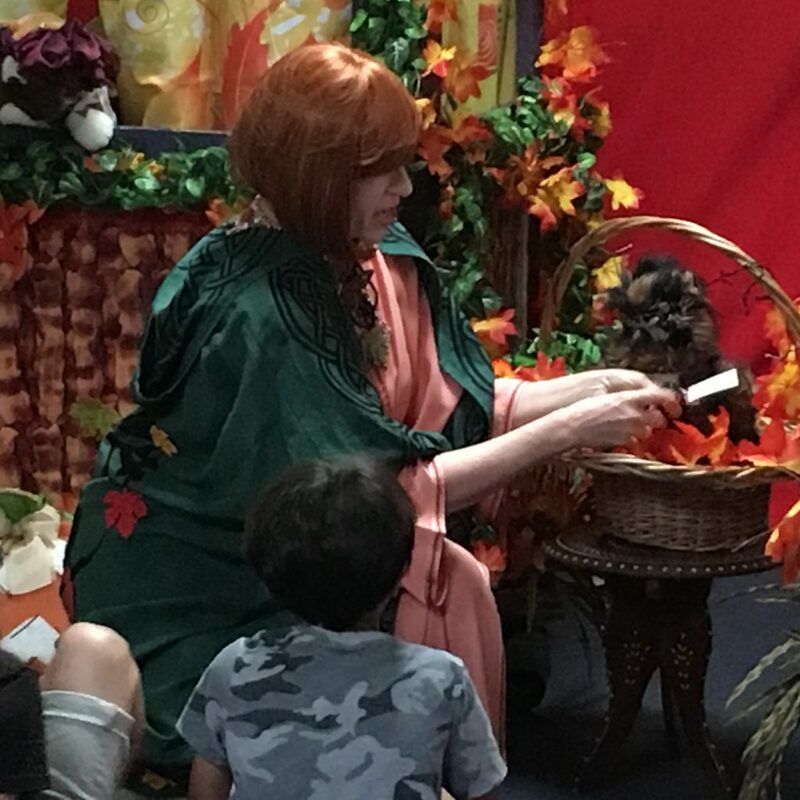 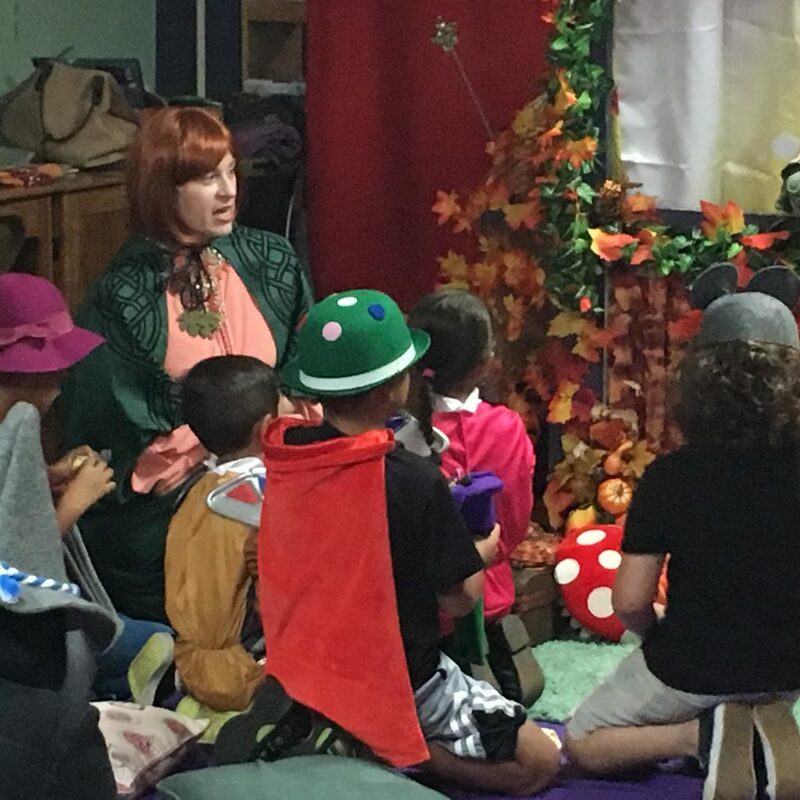 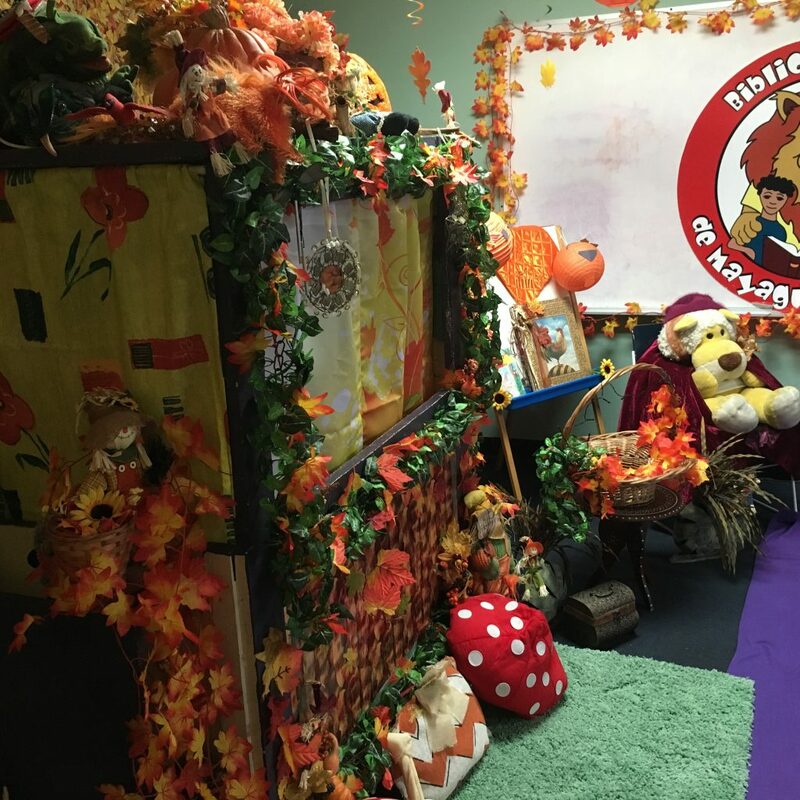 On Saturday, October 29, members of the English Department Student Association (EDSA) and the Future Teachers Association (AFM) joined forces with Dr. Linda Rodríguez and took a Halloween adventure to children at Mayagüez’s Children’s Library. 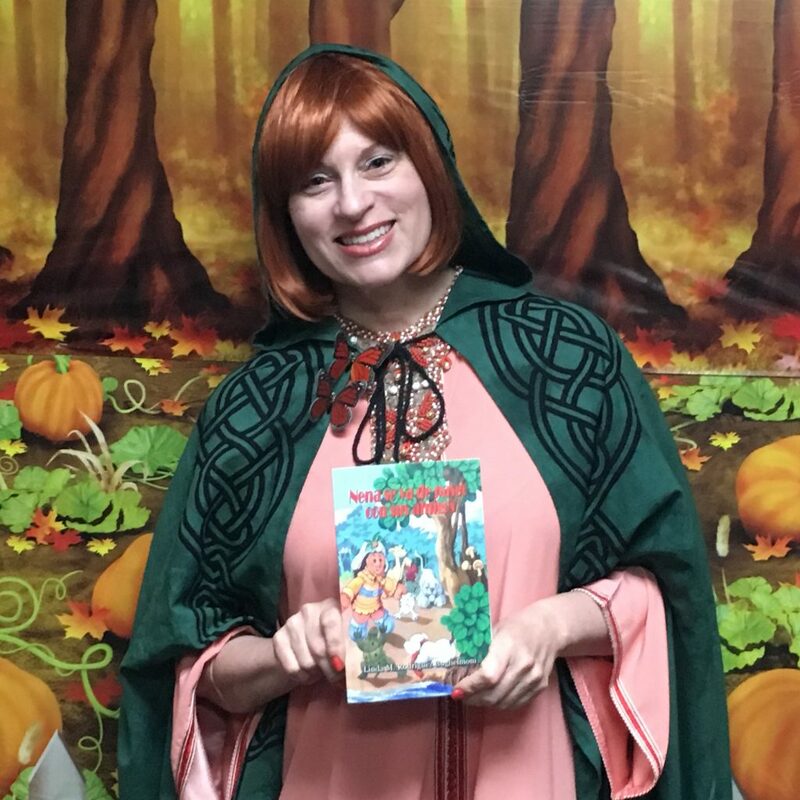 From friendly dogs to a scary forest filled with gargoyles, and witches, the children helped Nena and her friends return home. 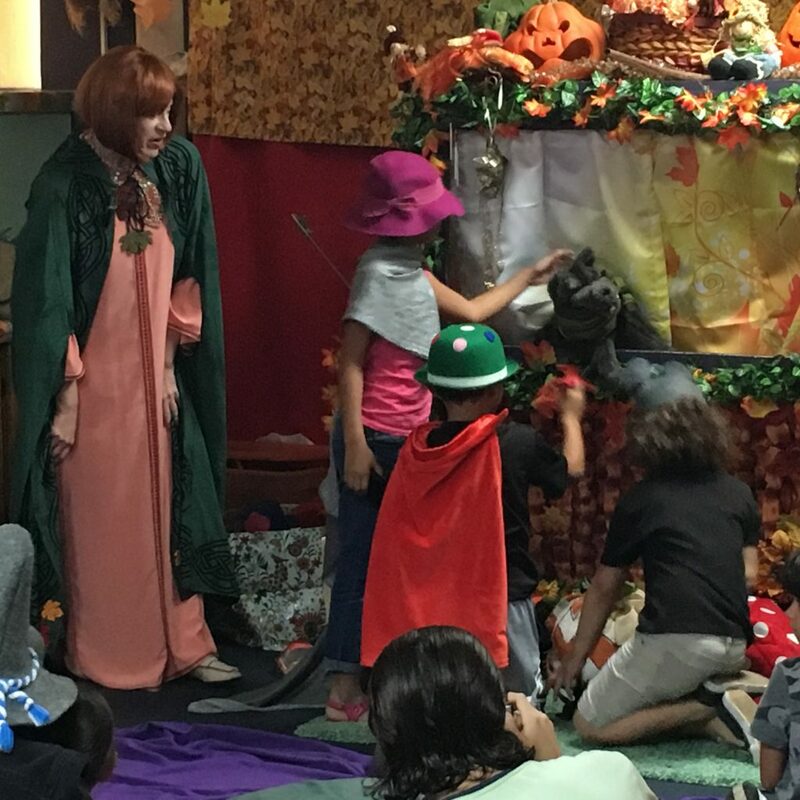 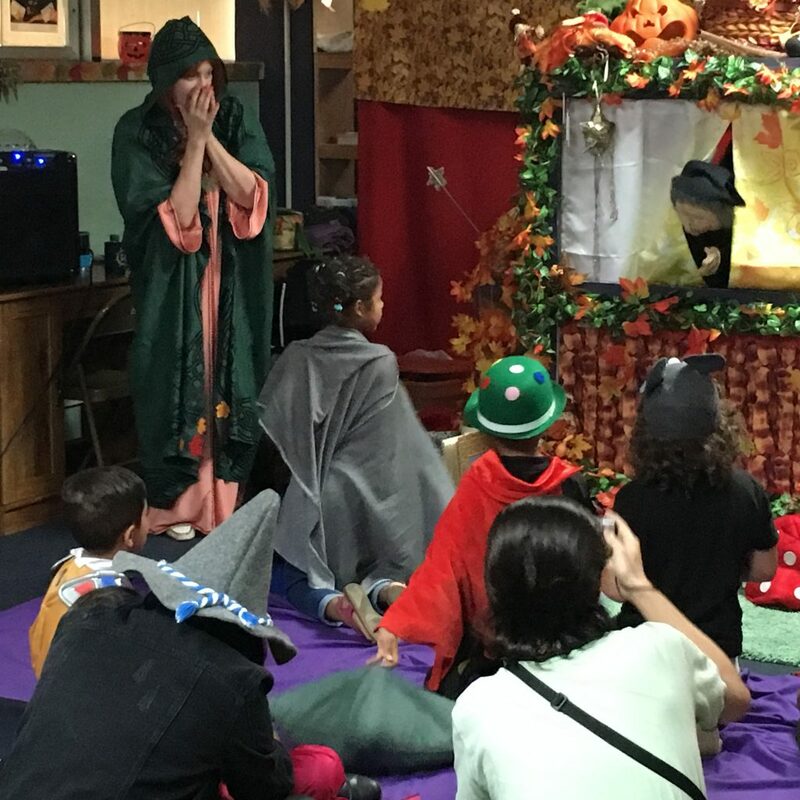 This year’s Halloween puppet show, “La aventura de Nena por el Bosque Tenebroso” was adapted and narrated by Dr. Rodríguez. 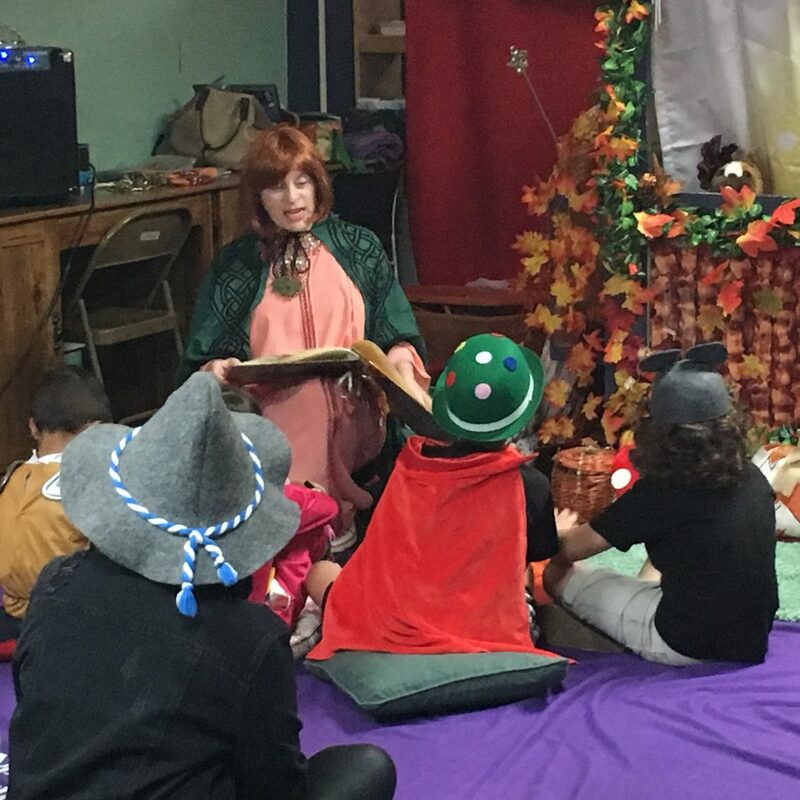 The story, based on Linda’s book “Nena se va de paseo con sus amigos,” took a twist after twist to give kids an air of adventure while showing them the rich ecological system our planet Earth has. 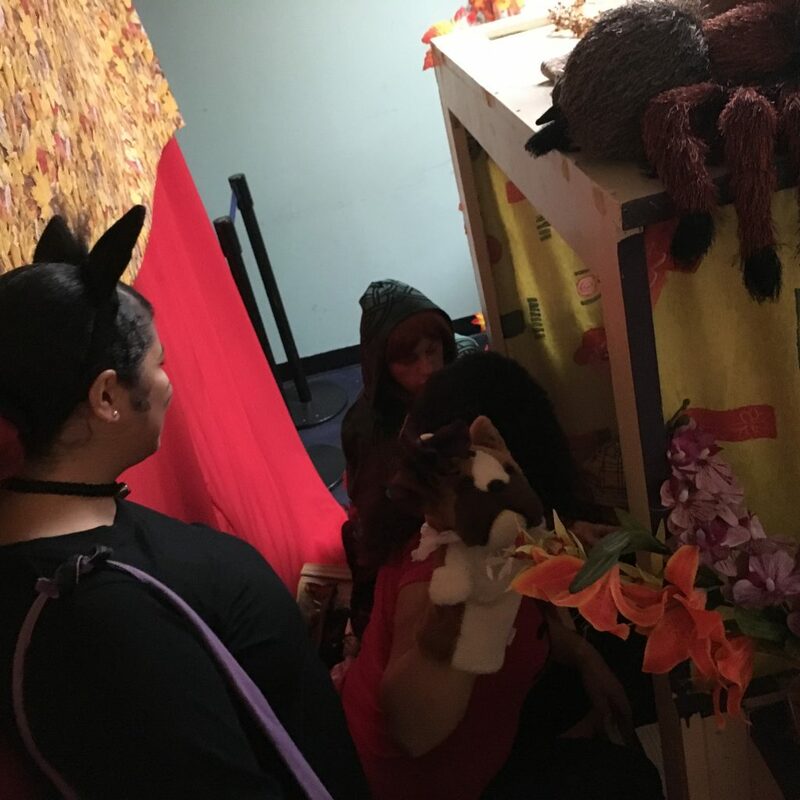 Days before the show, it took a team of association members to decorate and set the atmosphere, and another to get an audio system and puppets ready. 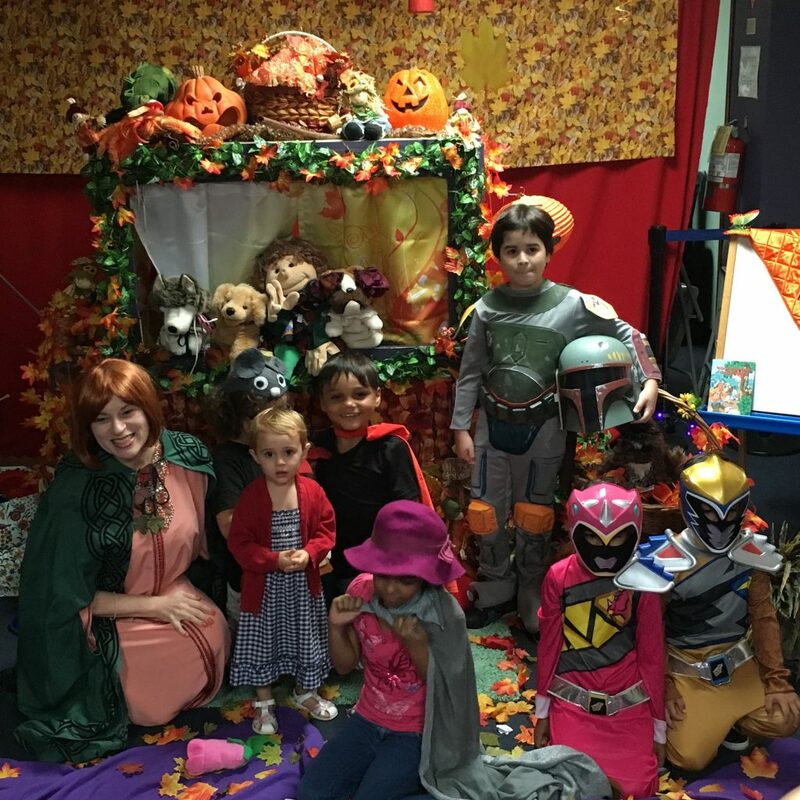 Not only EDSA and AFM members help with the preparations alongside Dr. Rodrígez, but what made the experience exciting was participating in the journey with kids dressed as their favorite heroes, as well as their parents. 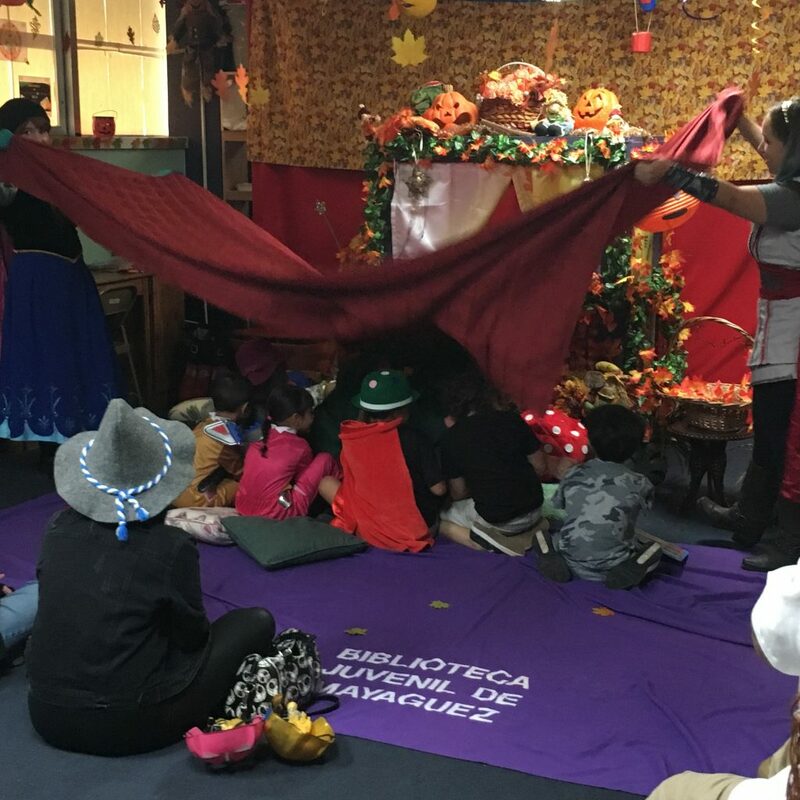 For most of us, hats are hats, and umbrellas protect us from rain, but for the kids’ journey, hats were magical, and umbrellas could fly them back home. 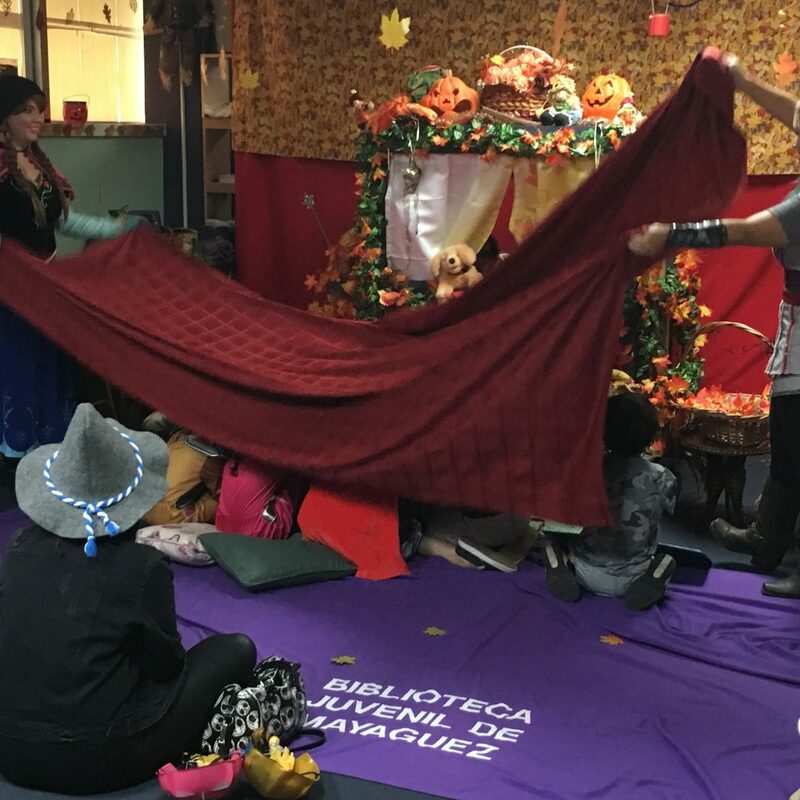 Imagination was the tool most used for this adventure, and the impact the students had in their community was evident. 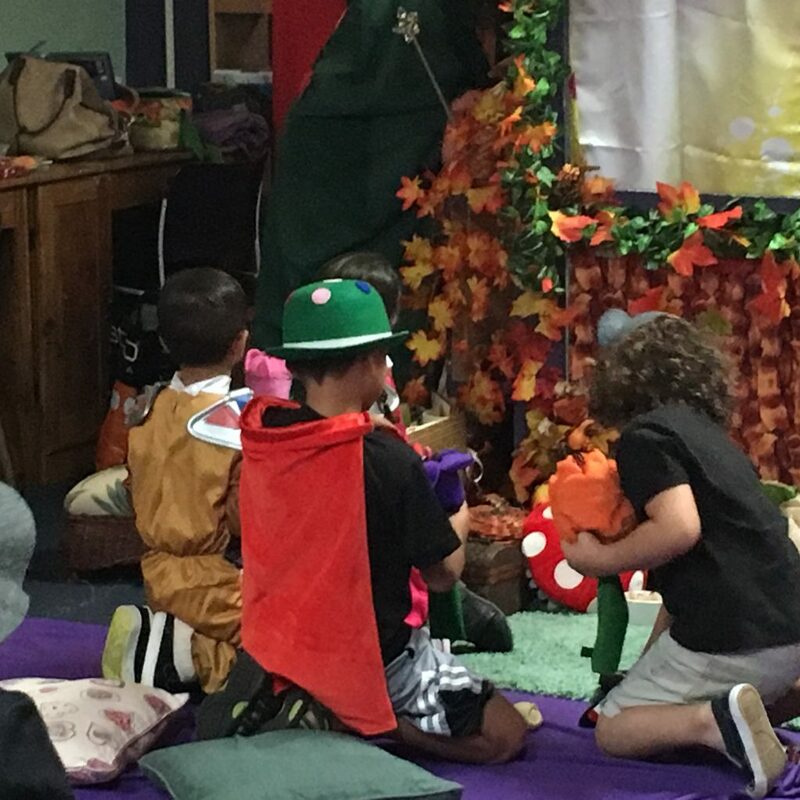 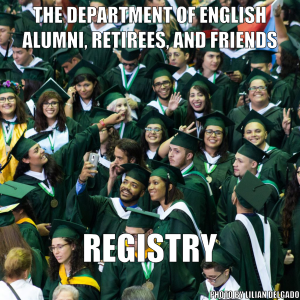 Taking a Saturday morning and dedicating it for the next generation leaves a warm-hearted feeling nothing can compare to. 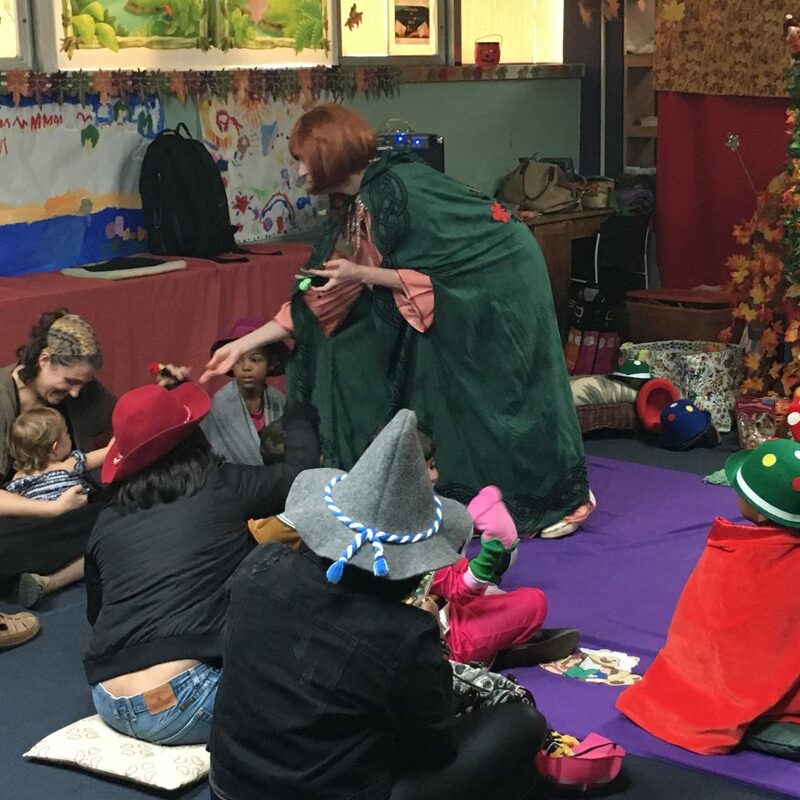 Even the simplest, from picking up a book and reading to a child, to setting up a puppet show can make a big difference. 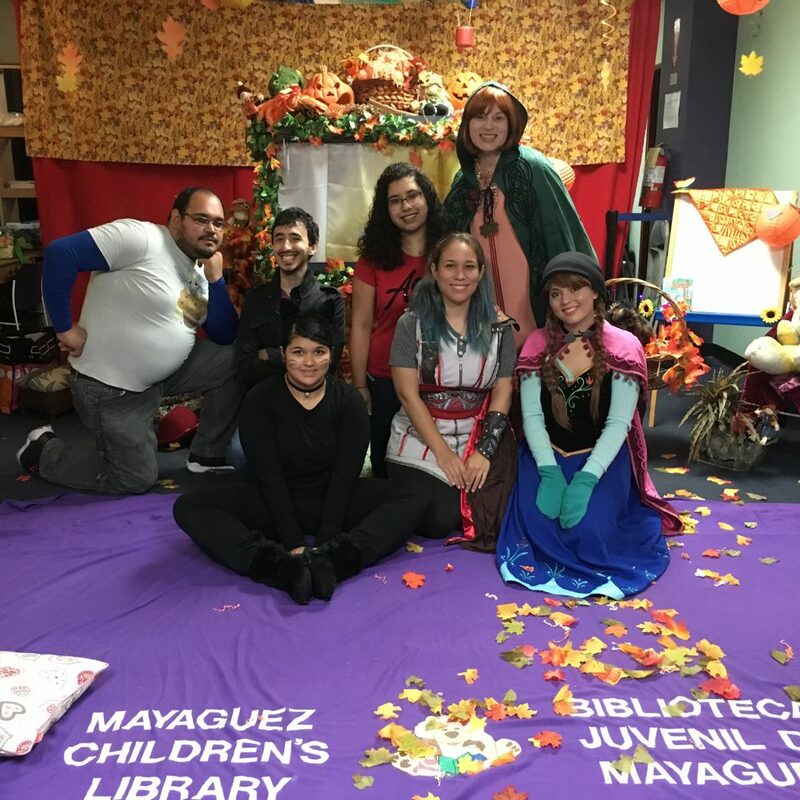 If you want to be part of an experience like this remember to visit Mayagüez’s Children Library, or join EDSA or AFM!